While there are many factors that figure into the valuation of a currency, one of the most important factors to consider is the country’s interest rates. In fact, all things being equal, foreign-exchange traders should focus on interest rates more than anything else. In this article, we’ll explore what interest rates mean and how they impact a country’s currency value. If we have a relatively stable geopolitical and economic situation around the world, the currency market will naturally favor a currency that is seeing a rise in interest rates and further interest rate hike expectations ahead. Still, interest rates aren’t the only factors that move a currency. Other such factors such as war, geopolitical concerns, inflation, correlations to other markets, and many other things can come into play as well. Let’s say that you run a large fund out of the United Kingdom. You are instructed to put money to work somewhere, and the most natural place to put a significant amount of your money is going to be where you can find the most growth. Typically, central banks will raise interest rates if an economy is running hot. There is a bit of a timing issue here, but sometimes you may decide to go into a stock market, for which you will need to make purchases in a local currency. The reason for the higher rates is that they are worried about the economy boiling over, but at the same time there is a proclivity for stocks to go higher in that situation. Looking around the world, you decide that Germany is the place that you wish to invest as many of the German multinationals have enjoyed great export growth. 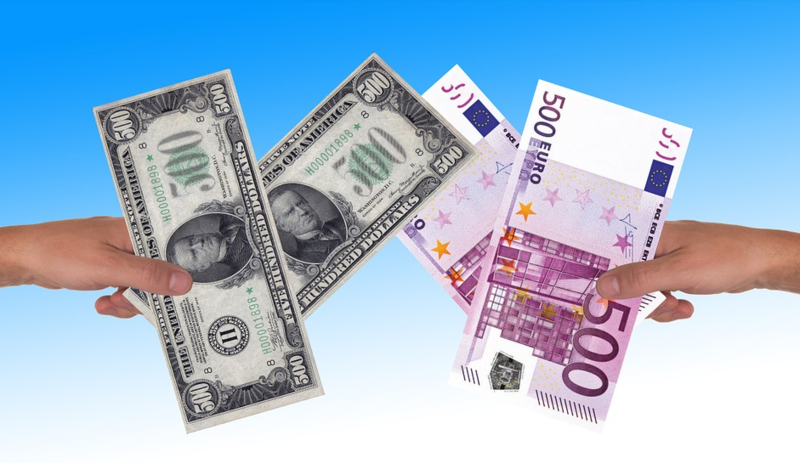 In order to buy stocks on the DAX, you will need to buy euros. In this scenario, you clearly need to buy the EUR/GBP pair. If the European Union shows a strong economy, you will not only be looking to buy stocks in that environment, but you will also be looking to buy bonds. Again, you will need to purchase these in euros. In that scenario, it’s the natural flow of money chasing the higher yield. You may have a situation where the United Kingdom has an interest rate of 1.00%, while the European Union has an interest rate of 2.25%, for example. However, a few months later the global situation changes drastically. We are on the precipice of a global recession, and you need to do something with your money. This was the situation during the financial crisis, which started to see the currency market act in a way that most people would’ve thought counterintuitive. As the US housing bubble burst, the initial move was that other currencies gained. However, the US dollar started to rapidly gain over time after the initial shock. The reason for this is that there are few places in the world that can absorb the type of transactions that the treasury market can in America. In that scenario, we had an exodus of capital from countries around the world into the treasury market, which drove up the value of the dollar. This was counterintuitive because the interest rates were being slashed rapidly, but quite frankly in that environment people were looking to keep their money safe. It didn’t matter that perhaps money was coming from New Zealand which had an interest rate of roughly 6% at the time towards the United States which was most certainly cutting interest rates. At that point it wasn’t about earning some type of yield, it was about protecting the large portfolios. As things settled down, money managers started to buy other currencies such as the New Zealand dollar, the Australian dollar, and even emerging market currencies such as the Turkish lira and the South African rand. The emerging market currencies were particularly attractive because some of the interest rates in those countries, although historically low for those areas, were still five or six times what many of the developed economies around the world were paying. Once people felt like it was safe to dip their toes in the water again, that was the first place a lot of money went. Interest rates are a main driver in the value of currencies, but a lot of it has to do with what traders are thinking on a political-economic level. The quick and dirty rule is that when people feel comfortable, they buy higher-yielding assets, including currencies that pay higher yield during swap. When they don’t feel comfortable, lower interest currencies such as the Japanese yen and the Swiss franc have historically done a bit better, right along with the greenback. Make sure to first understand the risk appetite of the market, then you can follow interest rates in both directions.